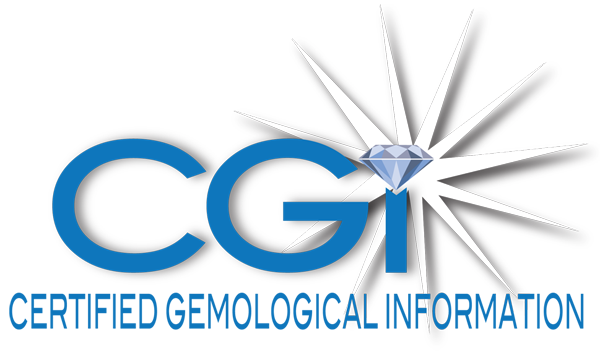 The appraisal is a certified original appraisal of Certified Gemological Information. 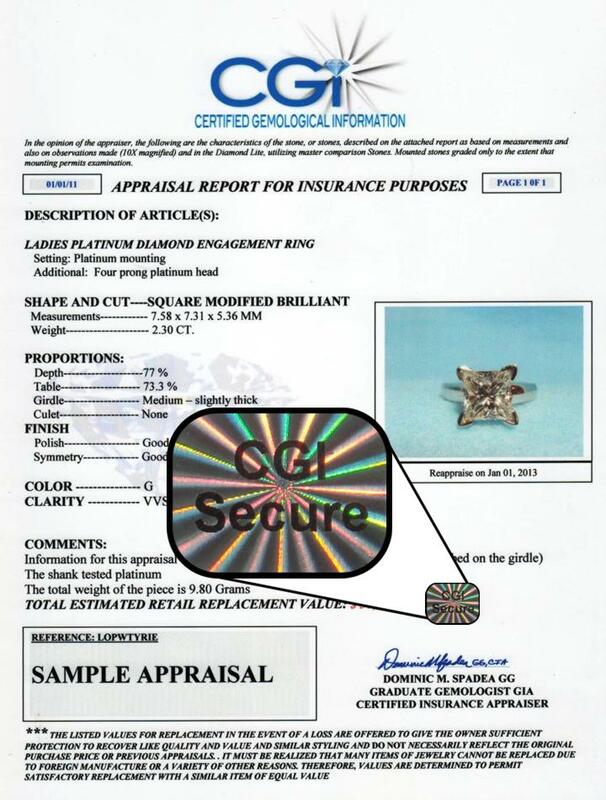 The appraisal was performed by a qualified and experienced Graduate Gemologist. The appraisal was performed without bias to any third party. Your appraisal will be perpetually stored and registered in our archives for future needs for a replacement copy or for the appraisal to be updated. Your appraisal information will be safely secured should it be needed by any law inforcement agency or insurance company. CGI recognizes its fiduciary relationship with the appraisee. No copy or information will be given to ANY third party under any circumstances without the express written consent of the appraisee.